Witch Hazel or Bay Rum? Here is my column that appeared this week in the Lawrence County Press. I actually could have continued with the subject, but I was out of column space. The Irondale Café, mentioned at the very end, is one of my favorite places to eat. I say so little about it that I feel compelled to give you this link: http://www.irondalecafe.com/history/. 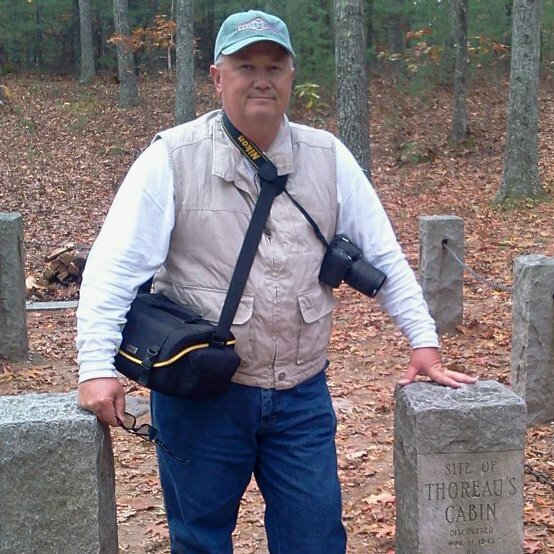 If you’re a fan of the movie “Fried Green Tomatoes” then you need to visit this place. We also visited the Southern Museum of Flight close to Birmingham’s airport. It was a very nice visit. After several trips to Birmingham since my daughter moved there, I still have quite a lot to see—and several places to see again, and again, and again. For the last couple of years, in January, I start making a list of the places I plan or hope to visit in the year. As you know, if you read very much of this stuff, I love to get around. I came close to overdoing it in 2013, so I thought my ’14 would look a little pathetic. But before I was through, the list was again looking ambitious and hopeful—and fairly long. I’ll have to be careful not to overdo it again: the bank account started giving me the evil eye before 2013 was over. I’m pleased to say that I’ve already started traveling this year. Birmingham and Boston are two hot destinations in my book—because, as you probably know, I have daughters I need to visit in those places. And I get free lodging. So, in mid-January, I began my travel year in Birmingham. My girls told me at Christmas that I needed to let my hair grow out. Well, I knew that they were wrong about that, but I did anyway. Just like always, my hair bunched up on top of my head, and because there was more of it, it just looked grayer and grayer, or whiter and whiter. Looked kind of like cauliflower. And the only time it’s comfortable when it’s long is when it is newly combed right out of the shower and for about 30 minutes afterward. When I get my hair cut, it’s either at an outstanding long-established Monticello salon or my wife cuts it. She says she doesn’t mind cutting it, but she puts it off and puts it off, and my hair keeps getting longer and longer—actually, poofier and poofier. By the time we got to Birmingham, both she and my youngest daughter knew that it was way past time that I needed a haircut. I had been knowing it for a month, but had kept waiting on her and therefore putting off a call to my local barber/stylist. Wal-Mart? A haircut at Wal-Mart? I have no doubt that there are many excellent barbers who work at Wal-Marts all across the nation, but forgive me if I don’t think of Wal-Mart as being high on the list for customer service and customer attentiveness. As she walked me into a Wal-Mart, I knew what my dogs must feel like when they’re put up on a table to get their hair cut. Leery. Dubious. Skeptical. There was no barber shop at the Wal-Mart we went into. Whew. Oh boy. 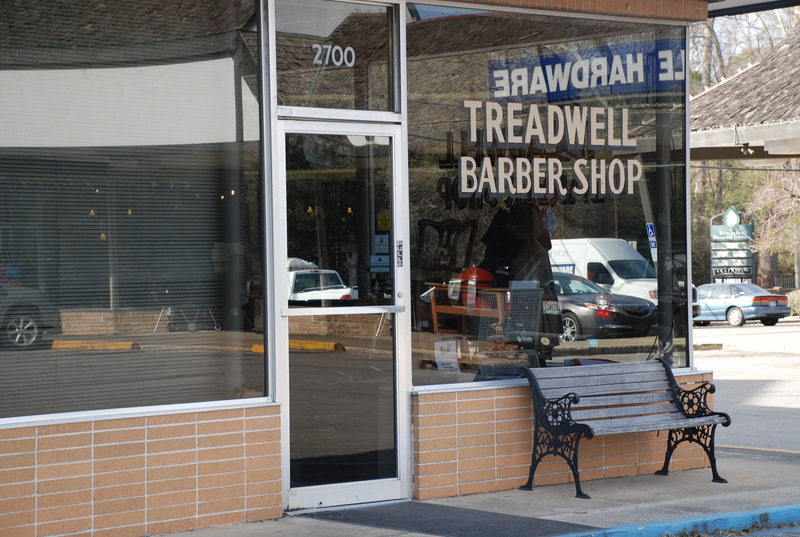 Treadwell Barber Shop was a throwback men’s barber shop. Actually, it wasn’t throwback; it was the real deal. It was the same thing it was when it opened in 1961. It had seven barber’s chairs all lined up in a row. Checkerboard tiled floor. 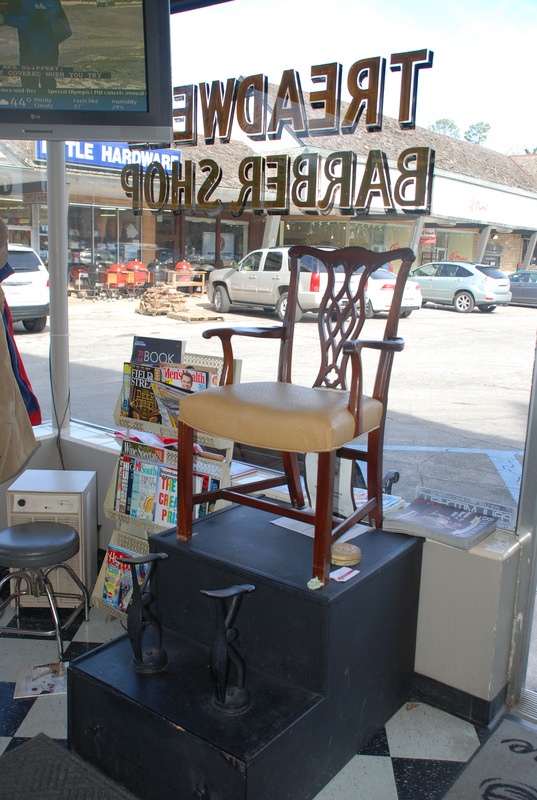 Shoeshine stand. When Matthew got through cutting my hair and unsnapped the apron and took that barber’s tape from around my neck and then started putting warm lather on the back of my neck, I couldn’t help but to break out into a smile. 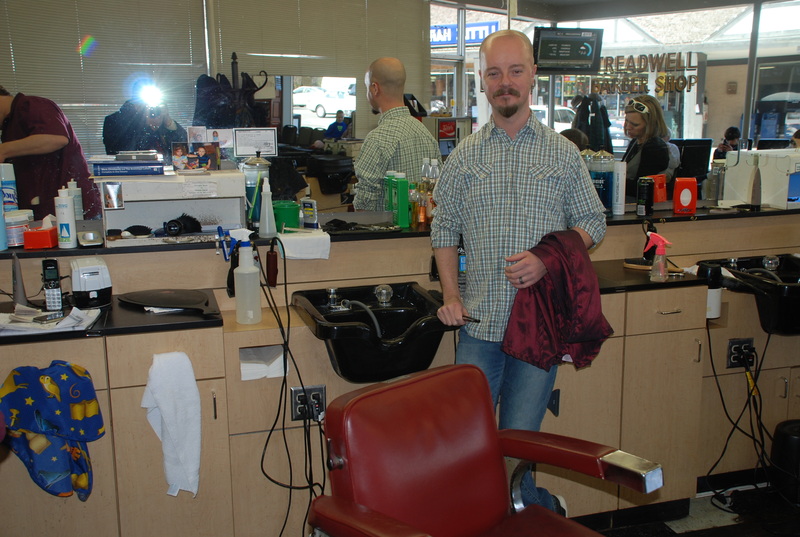 I hadn’t felt that warm lather since I was a kid at Clyde’s Barber Shop—one hundred years ago. And, yes, Matthew pulled out the single edged straight razor and shaved the back of my neck. Then he asked if I wanted the witch hazel or the bay rum after shave. I let my wife and daughter pick, and they went for the bay rum. Smelled just like Clyde’s. Matthew and I talked about Birmingham sites and things to do. We talked about Rickwood Field (the oldest baseball stadium in the WORLD) and the Rickwood Classic. We sat in practically the exact location for last year’s Classic. And he asked me if I had been to the Peanut Depot. I had no idea what he was talking about. He said that there is a place in the old district on Morris Avenue that has been roasting peanuts since 1907. They sell to the public and to sports venues in and around Birmingham, including the Barons baseball team. 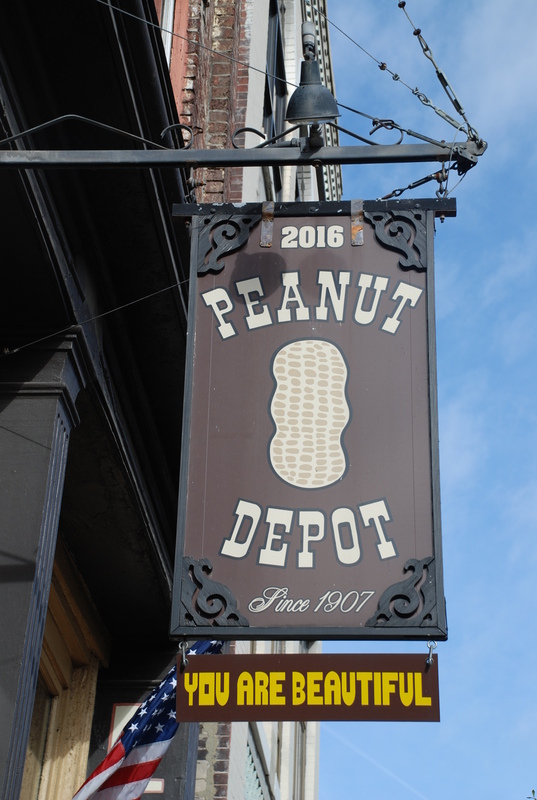 Of course, I went to the Peanut Depot. Bought way too many peanuts and saw the 100 plus year old roasters. Matthew told me that if you hit it just right you can get ‘em warm when they come out of the roasters twice a day. I’ll be going back for that. I’m outta space here, or I’d tell you about my lunch at the Irondale Café. Let’s just say fried green tomatoes, dressing, cornbread, sweet potato casserole, and chocolate chess pie. 2014 travel is off to a really good start. Thank you, Sharon. And thank you for continuing to take a look.